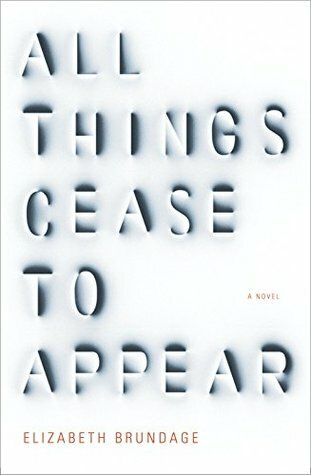 A dark, riveting, beautifully written book—by “a brilliant novelist,” according to Richard Bausch—that combines noir and the gothic in a story about two families entwined in their own unhappiness, with, at its heart, a gruesome and unsolved murder Late one winter afternoon in upstate New York, George Clare comes home to find his wife killed and their three-year-old daugh A dark, riveting, beautifully written book—by “a brilliant novelist,” according to Richard Bausch—that combines noir and the gothic in a story about two families entwined in their own unhappiness, with, at its heart, a gruesome and unsolved murder Late one winter afternoon in upstate New York, George Clare comes home to find his wife killed and their three-year-old daughter alone—for how many hours?—in her room across the hall. He had recently, begrudgingly, taken a position at a nearby private college (far too expensive for local kids to attend) teaching art history, and moved his family into a tight-knit, impoverished town that has lately been discovered by wealthy outsiders in search of a rural idyll. George is of course the immediate suspect—the question of his guilt echoing in a story shot through with secrets both personal and professional. While his parents rescue him from suspicion, a persistent cop is stymied at every turn in proving Clare a heartless murderer. And three teenage brothers (orphaned by tragic circumstances) find themselves entangled in this mystery, not least because the Clares had moved into their childhood home, a once-thriving dairy farm. The pall of death is ongoing, and relentless; behind one crime there are others, and more than twenty years will pass before a hard kind of justice is finally served. A rich and complex portrait of a psychopath and a marriage, this is also an astute study of the various taints that can scar very different families, and even an entire community. Elizabeth Brundage is an essential talent who has given us a true modern classic. From the Hardcover edition.